I'm going to Tokurin temple tomorrow. I decided it this afternoon and then I rang to the priest. "Could I come to your temple tomorrow?" "Okay. Then, see you tomorrow evening." He didn't ask anything. He just said okay. He looked just a normal old man. But he is really big. Everybody says so. I'm going there to talk to him and his friends. I'm going to stay there for 4 or 5 days. 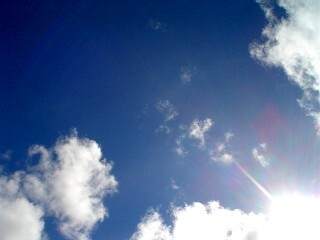 It was sunny. I usually like it but sometimes don't like. Sometimes I remember about some people who I'd met. They live in their own style. "Believe in and trust to your intuition"
Lately I often remember his word. "I'll go where nobody has reached yet. I'm going to make my way. The road is always behind me"
I'd forgot it for a long time. Maybe I was afraid of risk. I was afraid of what people think or say. Maybe I looked for roads which somebody has walked, before I knew it. Then, I'm going in my own style to where nobody has been. This week, I haven't worked. Today I slept well. I heard it'll be stormy tomorrow. I like it sometimes. Today I went to Nihonbashi, Tokyo to take a job interview. But I think I won't be employed, maybe. I wonder what most important thing for me in my life. 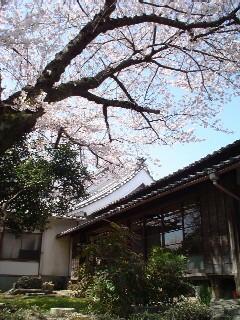 When I went to Tokurin temple, I deeply thought about it. 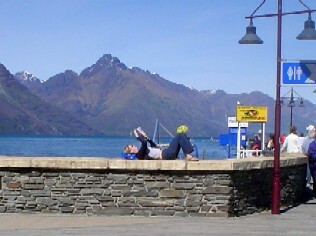 My sense of value has been wavering and changing many times since I went to New Zealand. 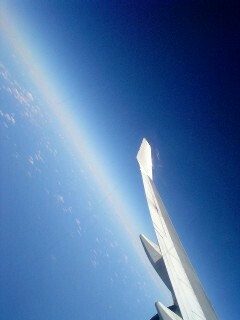 A famous haiku poet, Basho Matsuo said that life is like travel. Also my life is travel. And also it is game. However, I often forget it when I spend time in a big city. Because everybody seems to compete each other. Do I have to compete with them? Then, I chose going travelling. Maybe I like my sense of value to waver. If I stay in a city, my sense of value also stays. Although I go travelling, I have to make money before that, anyway. Then, I look for something job. 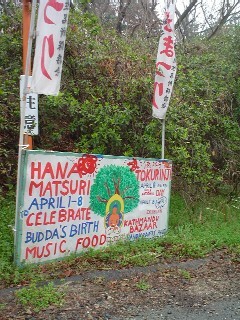 From 3rd to 9th April, I spent in working at Tokurin temple. That time, it happened "the Festival of Buddha's Birth" there. 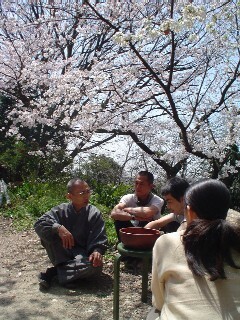 Mr. Gufu who I met in Kamikatsu town last month, told me about the temple that time. I am just curious so I decided to go there, and I quitted a job. 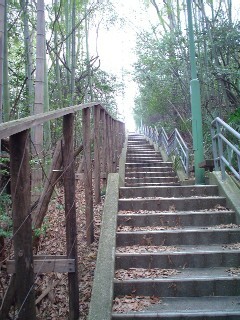 I reached there in the early morning of 3rd. Tokurin temple stands on a hill. And the hill is covered woods. 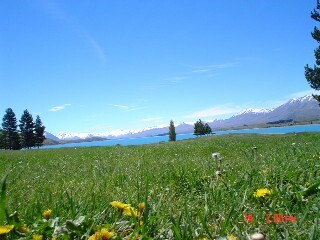 When I reached there, it made me wonder that I was deep in the mountains. There is silent. "Hi, I am Yamanaka. Mr. Watanabe told about this temple and I came to help the festival", I said. he said and began to walk. Then, I thought he was just a man who just worked there. But actually he was a priest. He was the owner of the temple. He didn't look such a great person. 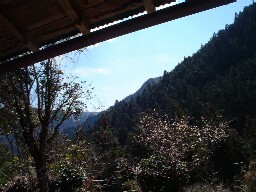 Anyhow, he showed me to the kitchen of a small hut. There was Mr. Gufu. "First, what can I do? ", I said. "Then, could you broom the room?" There was a long room next to the small hut. He said that the long room would be used for a Nepali restaurant. He is good at cooking especially Nepali cuisine. Anyway, my Tokurin-ji days started so. On 4th to 6th March, it happened "Working Holiday of Kamikatsu town" in Kamikatsu, Tokushima. Then I went there and took part in it. 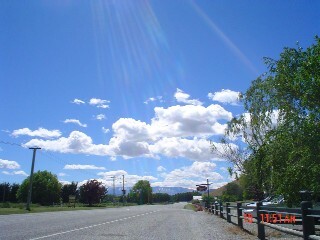 At 1pm on 4th, Noriko's mother drove me to the meeting place. We got there a little bit late. But no worries. There was not Tokyo. I went into the large room. The meeting had already started. There were many old people (maybe seventies or eighties) and young people (maybe twenties) in the room. We listend the explanation for a while. There were seven kinds of work places. Then, we decided that by "janken" (rock-paper-scissors). 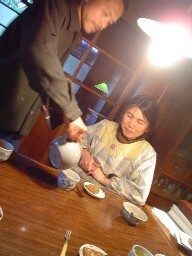 Finally, it was decided that I stay and work at the Watanabe family. Well, I worked with another man who from Tokushima city. His name is Naoyuki, and 29. 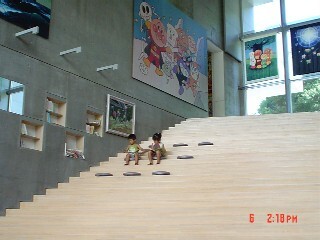 After the meeting, we moved to the house of Watanabe. Mr. Watanabe drove us. 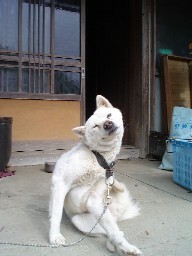 He lives with his wife, Mrs. Atsuko. They have two daughters but both of them had gone to a city. That was why we spent for the 3 days by those 4 members. As soon as we arrived there, we began to work. First, we chopped wood. Actually, the most of our work was wood chopping. We do that also next day and the day after too. Because they really need firewood to live. Their life looked nearly self-sufficiency. The house stands in a mountain. By the way, it was a bit difficult to chop wood for us at first. Then, Mr. Gufu showed us how to chop wood well. Well, Mr. Watanabe is called Gufu-san. He has another last name but he makes himself known to people as "Gufudo". Maybe he made the name for his work. He is a ceramicist. "Your chopping is very powerful." "Well, acutually I train myself", I said. "Oh, I see. But please be careful. Whenever you feel tired, you can stop working", Mr. Gufu said. Naoyuki called me "swordsman". He said that my shopping looked like a swordman to swing down a sword. "Ahh, maybe the town officer thought that I was a strict supervisor." Although he said that as just kidding but I thought he was a bit natural worrier. At the dinner time, Mrs. Atsuko cooked wondeful dishes. By the way, they are vegetarians.